Baskin-Robbins is jumping on the Star Wars bandwagon this month with the nationwide release of two new ice cream cakes to celebrate the upcoming release of Star Wars: The Force Awakens. Fans of the epic space opera franchise will be able to order the new Star Wars: Darth Vader Cake or the Star Wars: The Force Awakens Cake for a limited time throughout the month of December. 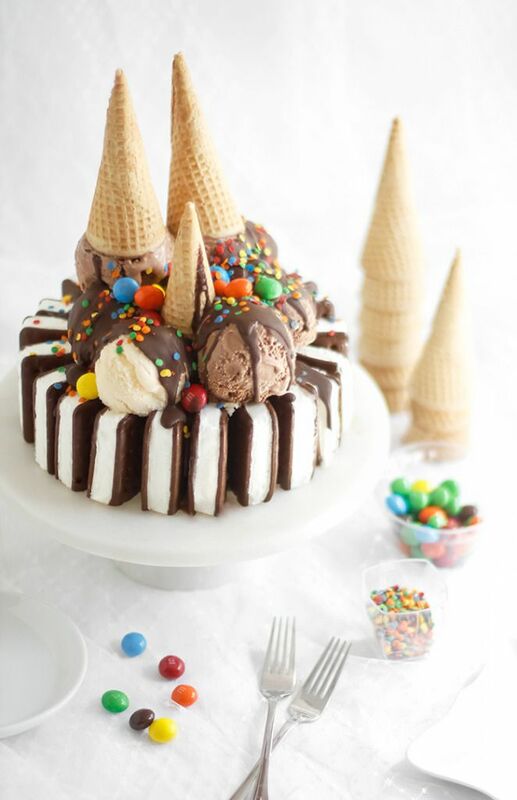 An ice cream cake is ice cream in the shape of a cake with layers of sponge cake or cookie crumble in between. A popular form is a three-layer cake, with a layer of ice cream between two layers of cake.